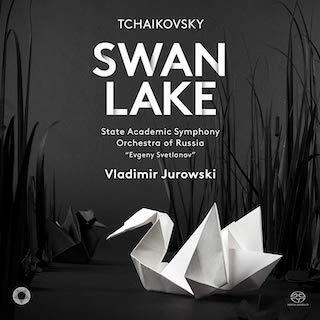 On this new disc from Pentatone, Vladimir Jurowski and the State Academic Symphony Orchestra of Russia “Evgeny Svetlanov” give us the Swan Lake ballet that Tchaikovsky actually wrote in 1877, rather than the one arranged and re-adjusted after the composer’s death for Petipa’s famous version of the ballet in 1895. In the 1980s, I attended a performance of Swan Lake at the Royal Ballet. For the first three acts, it was a relatively traditional Petipa-based production but in the last act things changed as the music reverted to Tchaikovsky’s original and the choreography was by Frederick Ashton. I am not sure if this version has been revived since, but certainly we get few chances to experience Tchaikovsky’s original thoughts in the ballet. Whilst Swan Lake might be one of the most iconic, and most revived, ballets in the Western Classical canon, it is strange that whatever the choreography, whether it is a reconstruction of Petipa and Ivanov’s 1895 original, “after Petipa” or anything up to Matthew Bourne’s superb re-working, the music always stays pretty much the same (give or take a few cuts). And all based on a version created after the composer’s death and which he never sanctioned. The history is quite simple, in 1895 Marius Petipa and Lev Ivanov created a new version of Swan Lake using music Tchaikovsky had written in 1877 for another ballet company for a production which was not very successful. Petipa always had very precise requirements when it came to music and timings; he had worked with Tchaikovsky before on Sleeping Beauty but the tragedy of Swan Lake is that this version was created after Tchaikovsky’s death so other hands altered and edited the music, including orchestrating other Tchaikovsky pieces to fill in “gaps.” Some of the changes are striking and work well in the context of the ballet but they are not what Tchaikovsky intended. Where music has been moved from elsewhere in the score, the cracks are easily paper-over-able. But where “new” Tchaikovsky music has been added, then the atmosphere changes and tension are released as we drop out of Tchaikovsky’s tightly wrought Swan Lake musical universe. Whereas Tchaikovsky’s original Swan Lake has been recorded (generally in Soviet-era Russian recordings), it has been remarkably neglected, a fascinating lacunae in our passion of historical performance and original versions. When he wrote Swan Lake in the 1870s he was under far less supervision from the choreographer than he would be when writing Sleeping Beauty for Petipa. So the 1877 Swan Lake is very much Tchaikovsky’s own thoughts. In fact, many critics of the original 1877 Moscow production found the score too noisy, too Wagnerian (!) and too symphonic. Whilst not a symphony in disguise, Jurowski brings out the symphonic aspects of Tchaikovsky’s writing. The sections hang together in a way familiar from his symphonies (and conversely some of the early symphonies can sound remarkably like ballet music). Jurowski also has a great sense of narrative, not surprising in a conductor who does both symphonic and operatic repertoire. So this works as an audio piece, without the dance. What is fascinating/disturbing/intriguing are the moments where familiar music collapses into something entirely new, unfamiliar from the popular version. So that if you are familiar with the ballet, the scenario suddenly goes somewhere new. 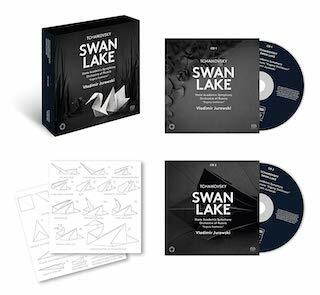 The video (below) features an animation with origami birds, and the CD box set comes complete with instructions for making your own origami swan! 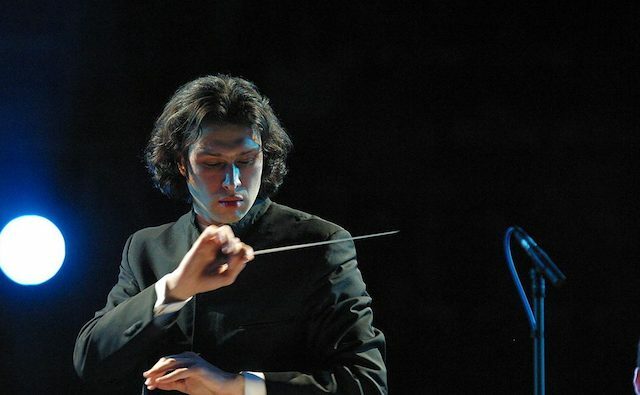 Jurowski and the orchestra performed the ballet in concert in February 2017, with the recording made that month and a year later. Sound and performance are admirable, and this is certainly a version of the music which I would love to live with. The booklet includes an introduction from Jurowski, along with an extensive article on the music and the development of the ballet. Now all we need is for the Royal Ballet to revive Ashton’s version of Swan Lake and ask Jurowski to conduct it! Reprinted by permission from Planet Hugill—A World of Classical Music. Review posted on 14 March 2019.